I found the cause of my blow-by problems. Piston 7 cracked its ring lands. 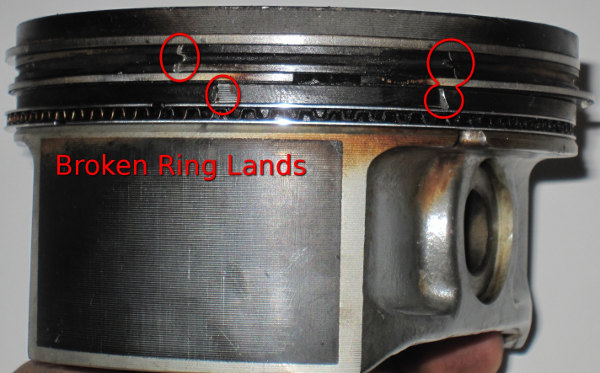 With the smoking gun found, it was time to remove the old, and replace the pistons with used pistons in better shape. Luckily the cylinder wall was fine and no other problems were found.